I've been keeping an eye out for great navy pieces this season. 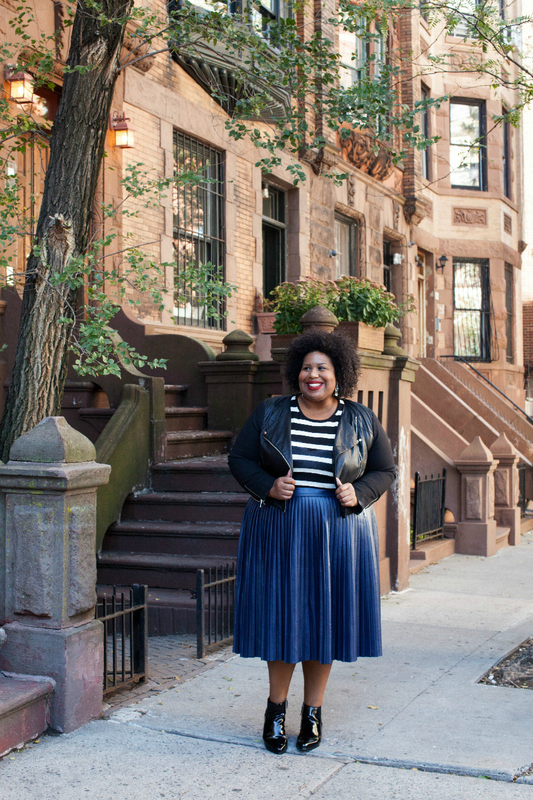 So, when I saw this pleated vegan leather midi skirt I knew I had to have it. Traditionally, I think people look to pair navy with earth tones but navy and black is another fun way to make the color pop. Add to that black and white stripes and a pointy patent bootie to add lots of interest.